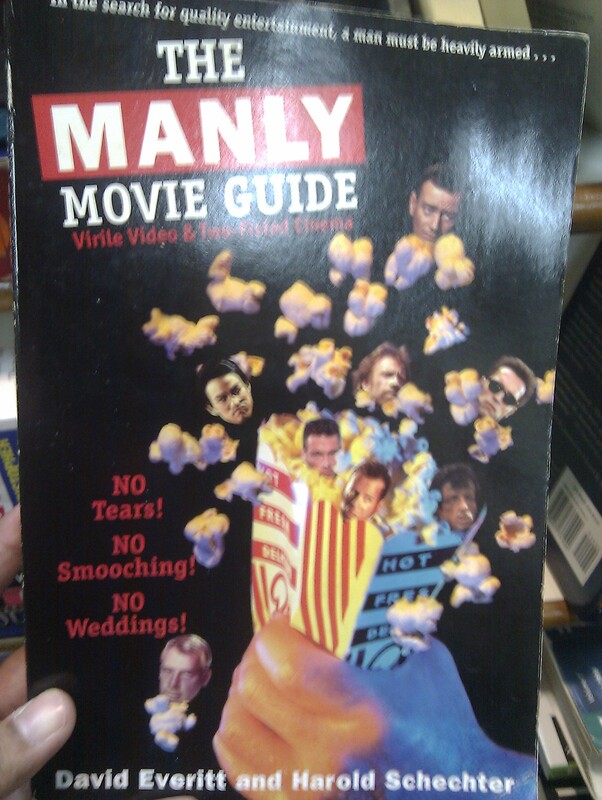 Yes, that reads: The Manly Movie Guide: Virile Video and Two-Fisted Cinema. 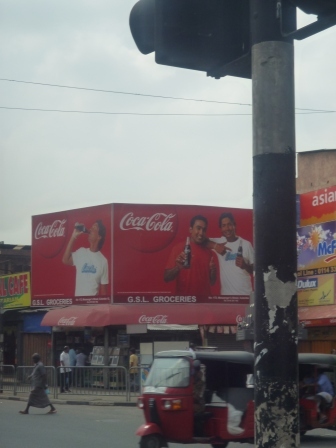 I came across the piece “Coca-Cola in Africa” a few days ago and was reminded instantly of one of the many observations I made while travelling through multiple cities and towns in Sri Lanka: Coca-Cola is everywhere. Well, not everywhere everywhere, but almost. This post on the ubiquity of Coca-Cola in Kenya (both in branding and in business) is interesting because it frames it within the “corporate responsibility” framework, which no doubt is one way of looking at it. Meanwhile, in full-on responsible mode, Coca-Cola will do the heroic thing of changing its recipe to avoid giving you cancer. As for Coca-Cola in Sri Lanka, people I asked didn’t really have an answer for the prevalence of the brand name everywhere beyond, “Well, it’s Coca-Cola!” (The people I asked being mainly extended/distant relatives. Clearly, I need new relatives.) 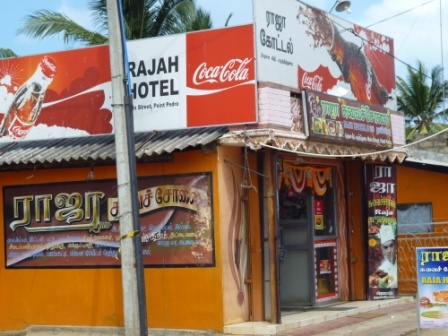 No matter, back in 2010 Coca-Cola was “excited” by Sri Lanka’s potential. Post-war economies are so exciting, etc.! 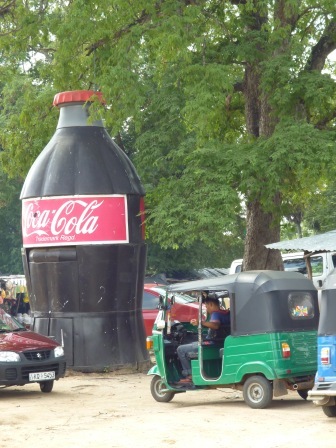 Also, I thought I took plenty of pictures of Coca-Cola in Sri Lanka, but I could only find three. Clearly this was a case of “I need to take a picture of that Coca-Cola sign and I am going to do it right no–OOOH LOOK AT THAT BIG SHINY BUDDHA!” because I have about a kabillion Buddha pictures but not enough Coca-Cola signage. 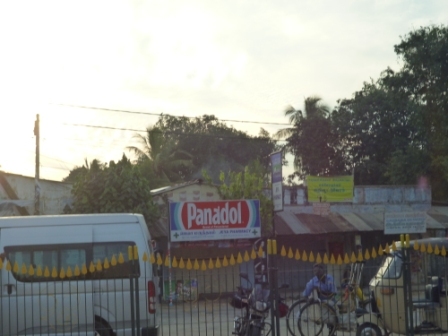 I always thought that you shouldn’t mix your Panadol with your Coca-Cola, but the good folk of Yahoo! Answers say, no, go right ahead. 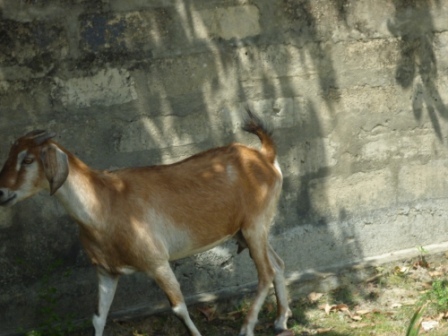 Apropos of nothing, a goat, pretending not to know me. I’m still not sure if it spoke, but through Mitchell (and throughout Shah’s book), the mosquito drops clues. Shah’s book sets out on a terrain that Mitchell articulates early on in his book: “Disease often moves with the changing movements of people, and modern war causes large numbers to find routes outside existing networks of trade and migration.” The interesting thing about Shah’s The Fever, to me, was how she consistently mapped out the changing face of malaria in relation to the changing face of empire, and the subsequent merging of modern warfare and modern disease treatment, or what in Mitchell’s words boils down to “physical elimination of the enemy species” where malaria is concerned. The connections between a war, an epidemic, and a famine depended upon connections between rivers, dams, fertilizers, food webs, and, as we will see, several additional links and interactions. What seems remarkable is the way the properties of these various elements interacted. They were not just separate historical events affecting one another at the social level. 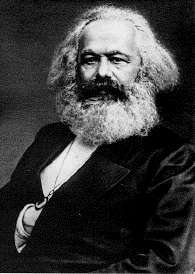 The linkages among them were hydraulic, chemical, military, political, etiological, and mechanical. No one writing about Egypt in this period describes this interaction. There are studies of military tactics, irrigation methods, Anglo-Egyptian relations, hydraulic engineering, parasites, the sugar industry, and peasants. But there are no accounts that take seriously how these elements interact. It is as if the elements are somehow incommensurable. They seem to involve very different forces, agents, elements, spatial scales, and temporalities. 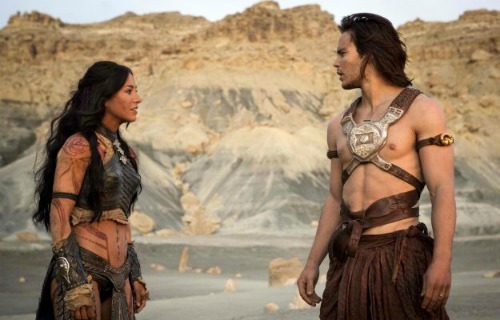 They shape one another, yet their heterogeneity offers a resistance to explanation. I’m blathering about Mitchell’s book, which is fascinating, although I’m only about a quarter of a way in. But this post is supposed to lead you to my review of Shah’s The Fever, a book that, truth be told, I thought was going to be sheer drudgery. It turned to be lively, sharp, and engaging – largely because, I suspect, Shah never wrote like she was dumbing down the facts and research for a bleary-eyed audience, and also because I felt her project mirrored Mitchell’s – consciously or not – determined as it was to complicate easy, pat conclusions about the nature of human agency vis-à-vis “mother nature” or the material world. You are currently viewing the archives for March, 2012 at The Blog of Disquiet.